Sign up and receive Property Email Alerts of Flats for sale in Franschhoek, Franschhoek. Newly built apartments with incredible mountain views offering a buyer the maximum return on investment opportunity. 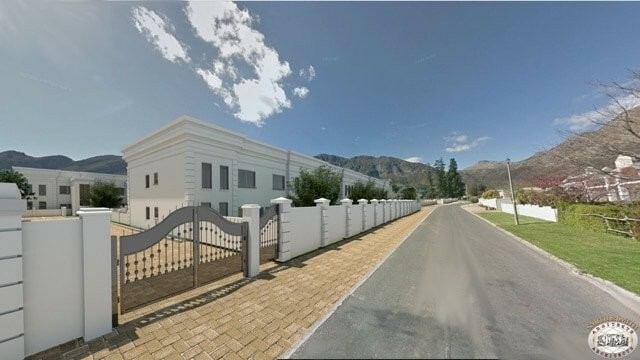 A complex with 34 units built to be part of the accommodation hub, Franschhoek. The two bedroom, two bathrooms apartments is designed and developed for the short term rental market, with a projected rate of R2500 per day. Franschhoek is one the most beloved towns in the Western Cape with their rich variety of top dining and wine experiences, their picturesque views of the mountains and the fantastic returns on investments. The development is positioned just above the Main road providing both access to all the restaurants and amenities but also providing privacy and little traffic. The development will be completed by October 2018. Sign-up and receive Property Email Alerts of Flats for sale in Franschhoek, Franschhoek.